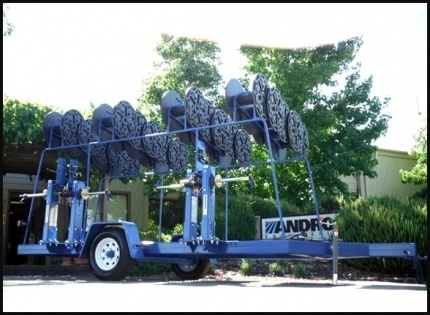 Our End-of-Row retrieval trailers have earned a reputation as a dependable workhorses in any retrievable/reusable drip tape system. 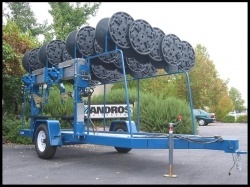 The Heavy Production Version trailer is the next logical step for End-of-Row Retrieval Systems from Andros, allowing longer pulls, up to a quarter mile plus. These platforms are designed for tape users that must rapidly recover for either reuse or disposal, allowing for more efficiency with redeployment. 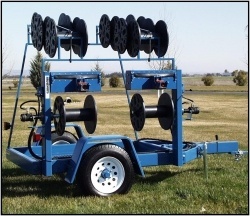 The AEC Retrieval system is built around the Agri-Spool II, 18 - 24-inch reel. New "open arbor" retrieval heads eliminate having to lift and carry full reels of tape. 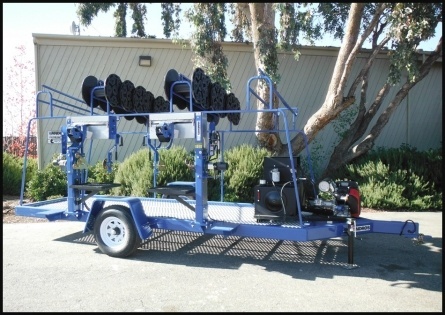 Full reels drop onto a rubber matted loading tray that lets the user go from retriever to storage on standard pallets without ever lifting the reel. 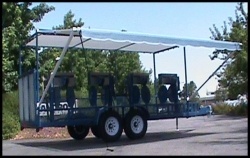 Starting in 2010 all models are now equipped with our "new" superduty traverse carriage which virtually eliminates levelwind maintenance. 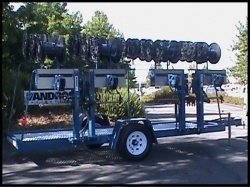 In addition our new trailers include a self lubing traverse box and smooth passage tensioning head capable of passing the AEC rigid 700 Series Couplers. 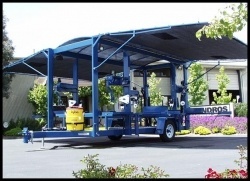 Optional: Rear-mounted forklift allows operators to palletize up to 12 reels per pallet without lifting new reels of tape.